Entertainment in Victorian and Edwardian Oxford. She began by explaining that the need for this resulted from the movement of people from rural to urban employment which led to a more regulated working week. She cited the fact that the population of Oxford doubled between 1801 and 1851. 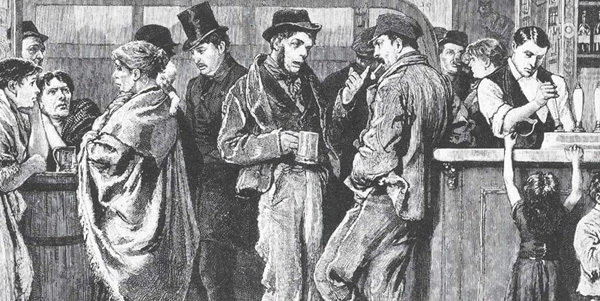 In addition Bank Holidays were introduced in 1871 and by 1879 the weekend was a recognised fact. Improved wages also gave people the money to take advantage of the leisure occupations that were offered. added benefit of self improvement alongside entertainment. Physical activities included a large and well-equipped gymnasium built in 1858 by Archibald McLaren on the corner of Alfred St and Blue Boar Lane. Football clubs appeared including Oxford City in 1882, and skating was a popular winter activity on Port Meadow, as was horse racing in warmer weather. swimming in the river were popular, the first being at Tumbling Bay in 1853 although exclusively for men in the early days. Other river-based amusements included trips on Salters steamers and small boats for hire including punts. Rowing later developed into a more competitive sport with the opening of rowing clubs. Public baths were a very important feature of life at this time, because they gave people the means to keep themselves and their clothes clean, and people could also relax in the Turkish baths. There had been a serious outbreak of cholera in the 1850s, so this was a useful way of combating dirt and disease in a crowded city. In addition to physical activity intellectual pursuits were catered for . Circulating libraries were the forerunners of public libraries, the one in Oxford opening in 1854. Literature was produced for working people, and lectures and evening classes were also available. operate today. The `New Theatre opened originally in 1886 and housed a popular music hall. The Oxford Playhouse started life in the defunct premises of the Big Game Museum situated opposite Brown’s Restaurant in St Giles. became an important occasion for family and friends to meet, and special trains were laid on from other cities for people going to the Fair. The attractions on offer included freak shows, bioscopes, pugilists, lady wrestlers and a menagerie. It also saw the first steam-driven ride in 1866 and electric lights in 1882. This entry was posted in General interest, Local interest, Talks on January 16, 2017 by Bob Goodenough.